Bring the kids along to Sea World Theme Park and Warner Bros. Movie World. Explore the numerous day-trip ideas around Brisbane: Dreamworld (in Coomera), Pelican Feeding (in Labrador) and Australia Zoo (in Beerwah). There's much more to do: identify plant and animal life at Lone Pine Koala Sanctuary, stroll through Mooloolaba Beach, take in nature's colorful creations at Roma Street Parkland, and enjoy the sand and surf at Burleigh Heads Beach. For ratings, photos, more things to do, and tourist information, refer to the Brisbane road trip site . The Route module shows you all the different ways you can get to Brisbane. 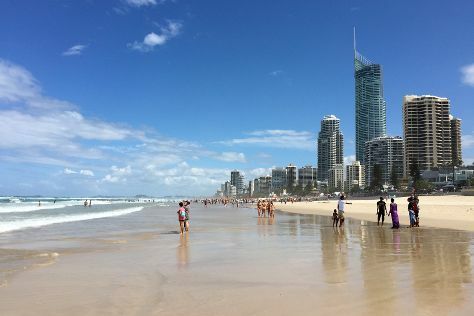 In June, daily temperatures in Brisbane can reach 24°C, while at night they dip to 13°C. Finish up your sightseeing early on the 5th (Fri) so you can travel to Uluru-Kata Tjuta National Park. Uluru-Kata Tjuta National Park is known for nature, museums, outdoors, trails, and classes. Your plan includes some of its best attractions: take in the dramatic natural features at Uluru, contemplate the waterfront views at Mutitjulu Waterhole, take your sightseeing to a higher altitude at Kata Tjuta, and take in the pleasant sights at Field of Light. 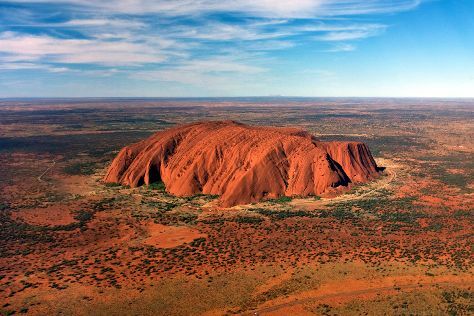 To see reviews, traveler tips, and other tourist information, read Uluru-Kata Tjuta National Park online sightseeing planner . Traveling by flight from Brisbane to Uluru-Kata Tjuta National Park takes 5.5 hours. Alternatively, you can drive. Traveling from Brisbane in July, you can expect nighttime temperatures to be a bit cooler in Uluru-Kata Tjuta National Park, with lows of 4°C. On the 21st (Sun), you're off tohome.